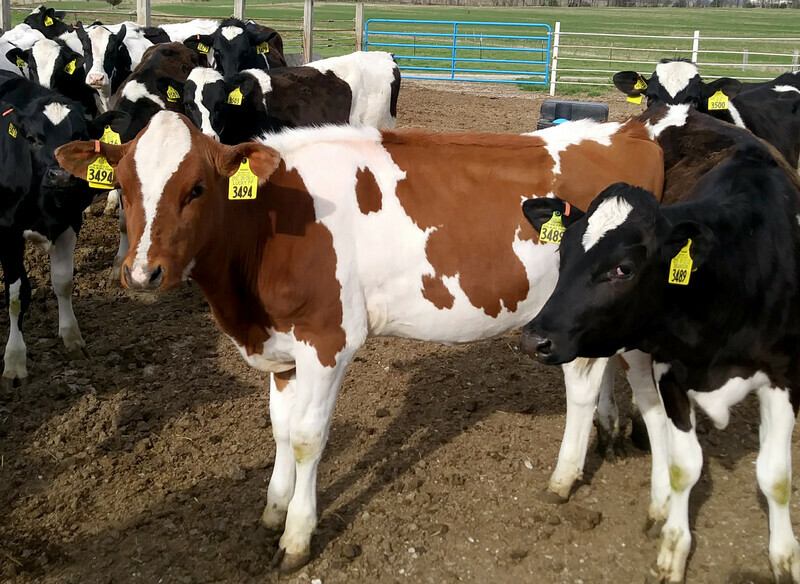 Holstein Association USA recently named the University of Missouri's Foremost Dairy Research Center as one of the top 10 college/university herds. MU Extension dairy veterinarian Scott Poock said this places Foremost in an elite class of central U.S. dairy herds. Foremost Dairy houses 430 Holstein and 40 Guernsey cows on 1,065 acres west of Columbia. Faculty and students do research at the farm to learn how to improve milk output and efficiency while maintaining herd health. Foremost began genomic testing on all calves about five years ago, says John Denbigh, superintendent of Foremost Dairy. He says the testing and research pay off in better production and longevity. Foremost's total performance index (TPI) numbers rose from an average of 1800-1900 to 2000-2100 since testing began, Denbigh says. "How the cow is put together allows her to accomplish those goals," he says. Selective genetics improve the cow's foot, leg and overall strength for better movement. It also increases calving ease and, most importantly, creates a strong mammary system for better milk production. Foremost, operated by MU's College of Agriculture, Food and Natural Resources, earned fame for Pastel, a Holstein heifer born there in 2014. The calf was one of 20 tested for the first time at Foremost using a genomic DNA panel. With a TPI of 2561, Pastel was rated as the second-best red carrier Holstein calf in the country. The index considers feed efficiency, somatic cell score, calving ease, productive life and fertility. The calf sold for $25,500. All calves are tested now. A couple of Pastel's sisters still live at Foremost. Missouri native James Cash Penney, founder of the J.C. Penney department store chain, donated money and a herd of prize-winning Guernsey cows for the dairy, which was named after Penney's prized bull, Langwater Foremost. 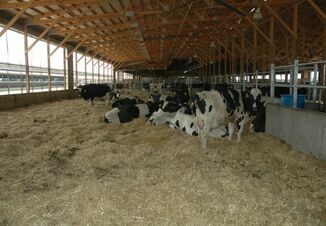 Learn more about the dairy at foremostdairy.missouri.edu. 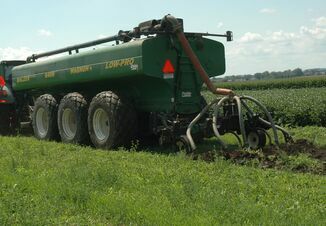 How Much is That Manure Worth?